Our jetlag isn’t stopping us from preparing for The Big Game! 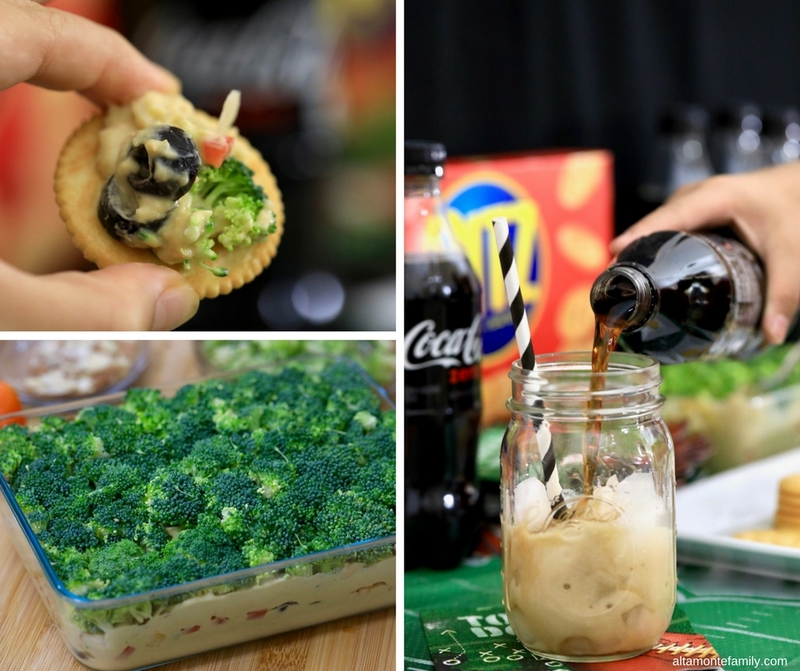 We’re always ready for kickoff here in our house–it’s always fun to bring friends and family together over football and amazing food that won’t hurt your waistline! 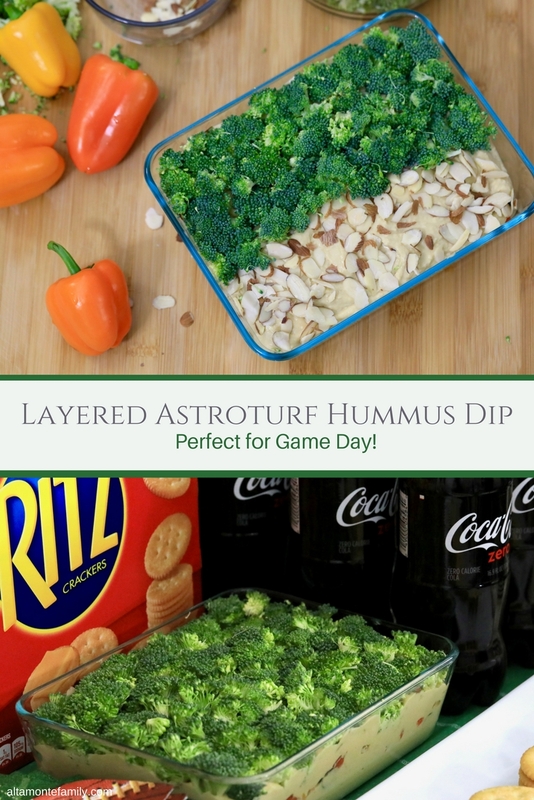 So today, we’re sharing a super easy game day recipe–an alternative to the ever popular 7-Layer Dip. Allow us to introduce our Layered Astroturf Broccoli Hummus Dip! As our plane touched down in Atlanta last night, I happily waltzed over to the baggage claim while proudly sporting my favorite football jersey. It was cool to receive a few nods along the way from fellow football fans. The Big Game can’t come soon enough! 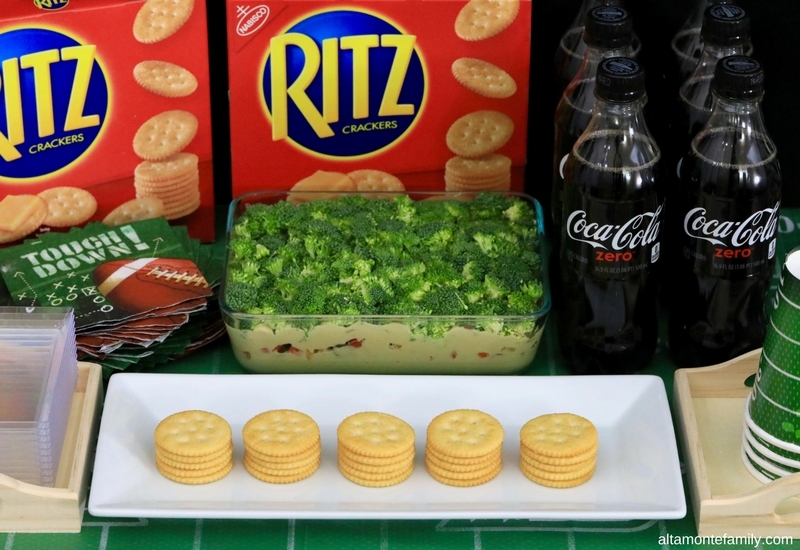 As a matter of fact, we’re so excited (and jetlagged) that we took a trip to Walmart just past midnight (on our first day back on US soil) to pick up some RITZ Crackers, Coke Zero, and a few key ingredients to make our Layered Astroturf Broccoli Hummus Dip! What’s not to love about delicious food and drinks and an awesome game of football… especially The Big Game? It’s even better when shared with family. 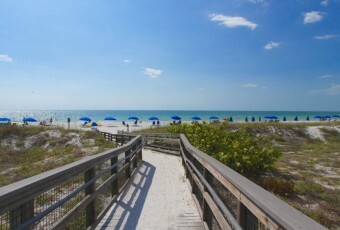 This year is very special for us because we got to travel back to the US with my mom. She will be watching (and cheering) with us this year! Woohoo! She will also be munching away and enjoying all of the awesome game day grub. Love how she’s always game when it comes to goooood food (especially the type that doesn’t hurt her waist-conscious goals). Okay, so let’s talk about this 7-Layer Dip alternative, shall we? 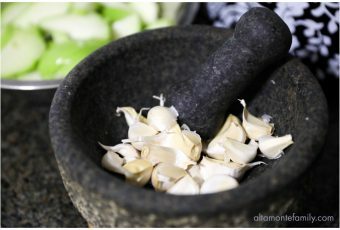 This no-cook, game-changing dip recipe can easily be made ahead–it’s a lighter, crunchier alternative to the ever popular 7-Layer Dip. 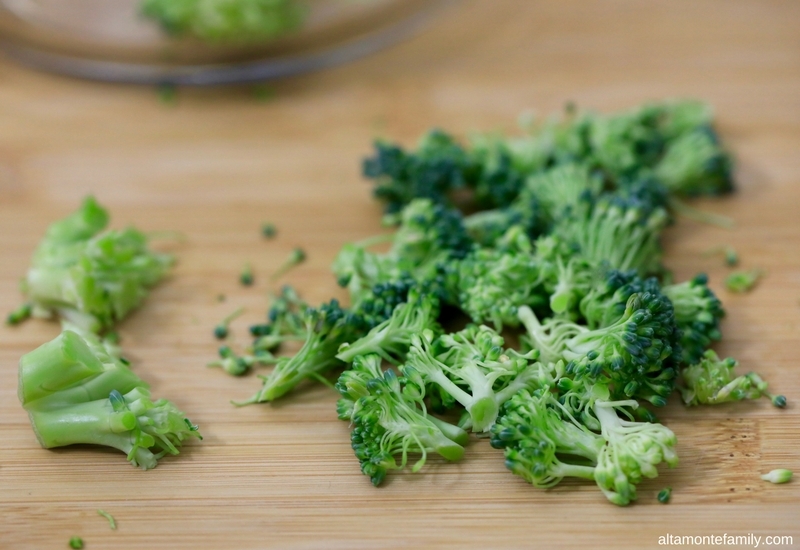 Create broccoli floret “shreds” by slicing off the wide part of the stem (as shown in the photo above). Layer a pound of hummus on a 6 x 9 pan (we used a clear glass baking pan). Top the first layer with olives and baby bell peppers (and Sriracha, if desired). Add on another layer of hummus (we added the remaining pound). 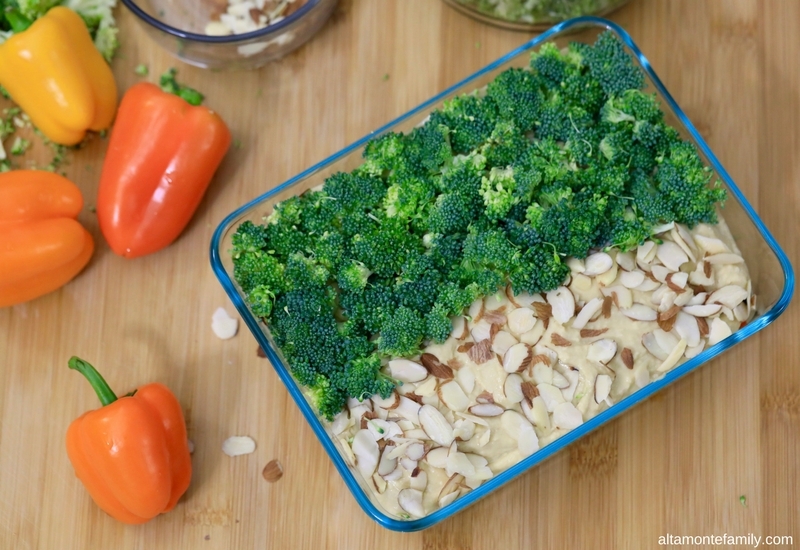 Top hummus with paprika (if desired), almonds, and broccoli floret “shreds”. 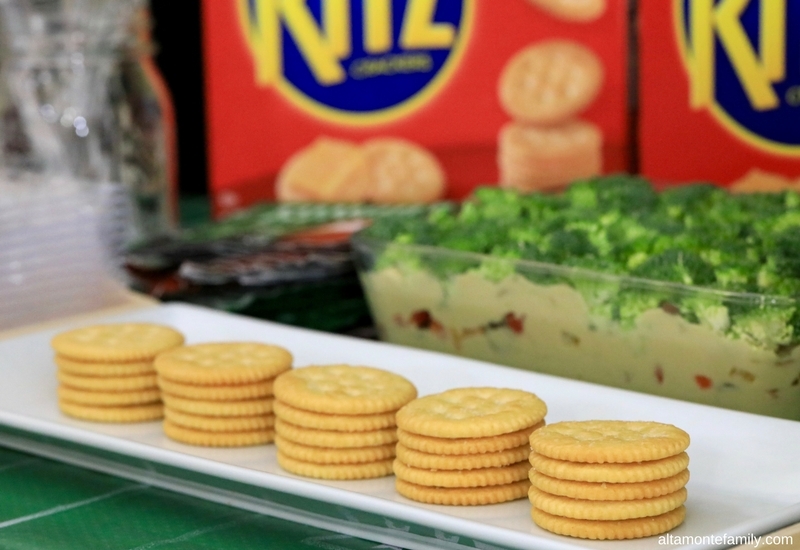 Serve with your favorite crackers (we love to pair RITZ Crackers with this dip for just the right amount of saltiness and texture). We’ve found that stacking a few pieces of RITZ Crackers makes it convenient for our guests to just grab and go! Finish it off with some refreshing Coke Zero and you’ve got yourself a delicious combo! So, are you all set for The Big Game? It’s not too late to grab some game day grub essentials! 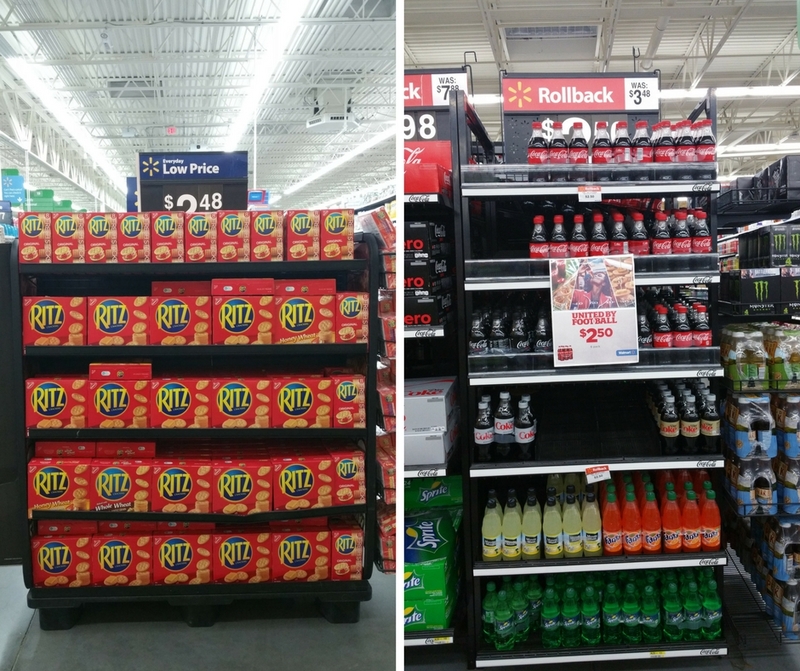 Pick up RITZ Crackers and Coke Zero at Walmart and make an amazing party spread in no time flat. 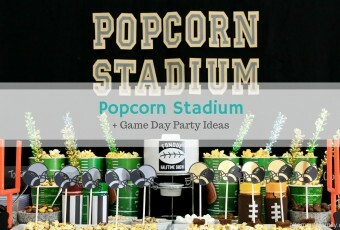 Looking for more Game Day inspiration? So… be ready for kickoff! 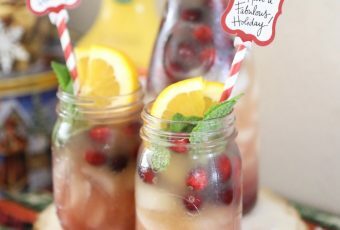 Click here to find more amazing game day recipes and party ideas! 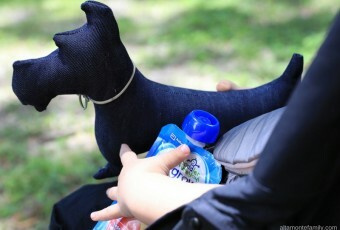 Oh this looks so delicious and I love that it’s jam packed with good-for-you food items that are super tasty! Enjoy the Big Game!